Alina Hooper is a Senior Project Manager with 270 Strategies. 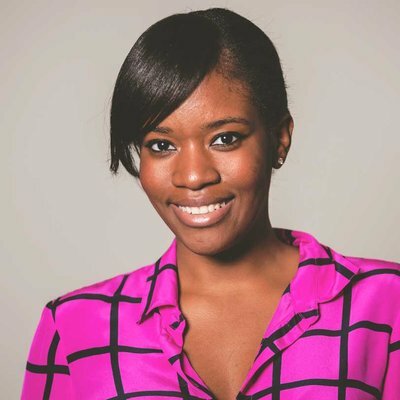 Most recently, she served as the African American Digital Coalitions Director for the Hillary for America campaign. In that role, Alina developed digital organizing and outreach programs geared towards maximizing support and turnout among African American voters. Since joining 270 in 2013, Alina has partnered with clients across a broad range of industries and issue areas including voting rights, health care, education, criminal justice reform, and civic engagement. Alina previously held positions with Morrison Cohen LLP in New York, the Brennan Center for Justice at New York University School of Law, the New York City Department of Education, and the United Nations International Civil Service Commission – all after a brief stint as Tom Brokaw’s assistant. Alina’s passion for politics started while volunteering in New Hampshire for President Obama’s 2008 campaign, where she saw firsthand the power of grassroots organizing. Alina earned a B.A. in History from Harvard College. In her spare time, she enjoys traveling, reading, and exploring the Art Institute.